One of the most basic questions in biology was speciation: how one species splits into two or more new species. The question puzzled Charles Darwin in the 1830s after visiting the Galápagos Islands and seeing different species of finches. It remained a mystery until 1942, when Ernst Mayr, an evolutionary biologist, proposed the biological species concept in his book, Systematics and the Origin of Species. Earlier definitions of species were focused upon the physical similarities of organisms, whereas Mayr redefined the term based on their reproductive potential, arguing that members of a common species have the potential to interbreed and produce viable, fertile offspring. Reproductive isolation—the imposition of barriers that interfere with members of different species interbreeding—is the most frequent cause of speciation. Mayr classified reproductive isolation as barriers occurring before or after fertilization and zygote formation—prezygotic or postzygotic. He noted that speciation most commonly occurs when populations of species become geographically separated, as by bodies of water (allopatric speciation), or when the two species share a common geographic area but occupy different habitats—one terrestrial, the other aquatic. In such cases, the flow of genes between these populations ceases to prevent hybrid creation. In other instances, reproductive isolation barriers may be imposed not by geography but as a result of temporal or behavioral differences in breeding, such as plants that flower at different times, or animal species with unique courtship rituals. In still other cases, an attempt to mate is thwarted by a physical incompatability, such as the shape of the genital organs. If interspecies mating is successful, and fertilization occurs, postzygotic barriers may intervene, preventing hybrids from passing on their genes. The zygote may lack viability and not survive more than a few series of cell divisions. The hybrid may be viable, but sterile, and thus incapable of reproducing; such is the case of the mule, the hybrid offspring of a female horse and a male donkey. Finally, the initial hybrid may be fertile, but successive generations experience progressively reduced fertility, with eventual sterility. SEE ALSO: Darwin and the Voyages of the Beagle (1831), Darwin’s Theory of Natural Selection (1859), Biogeography (1876), Evolutionary Genetics (1937), Hybrids and Hybrid Zones (1963). 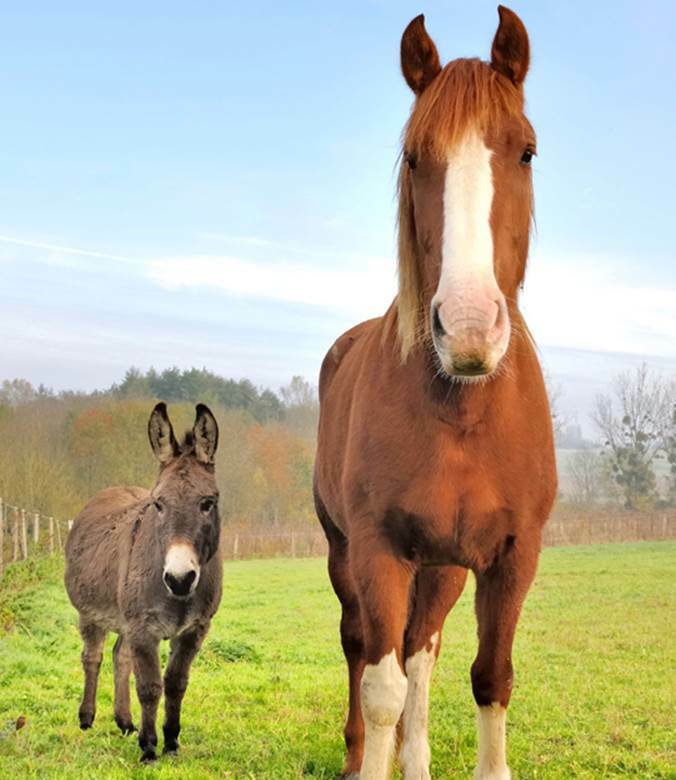 The offspring of a female horse (mare) and a male donkey (jack) is a mule, while breeding a male horse (stallion) with a female donkey (jenny) produces a hinney. In both cases, the hybrids are infertile.